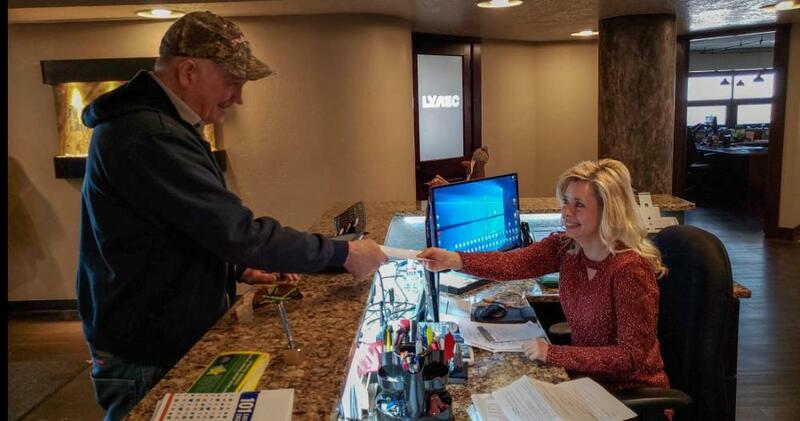 You might not realize it, but when you signed up to receive electric service from Lower Yellowstone Electric you became a member—and owner—of an electric cooperative. While investor-owned utilities return a portion of any profits back to their investors, electric co-ops operate on a not-for-profit basis. So instead of returning leftover funds, known as margins, to investors who might not live in the same region or even the same state as you do, we issue capital credits based on how much you paid the co-op for electricity during a specified time period. In 2017, members whom received service from LYREC in 2001 and 2015 received capital credits that were credited to his/her electric account reflecting your ownership of the cooperative during those years. It will take approximately 15 years to receive your entire capital credit retirement once you have discontinued service with LYREC. During those 15 years, Lower Yellowstone Electric saved part of what was paid by members to cover emergency expenses and to build and maintain a reliable electric distribution system. Capital credits are margins left over at the end of a year at a not-for-profit electric cooperative. Capital credits represent the most significant source of equity for Lower Yellowstone Electric. Since a cooperative’s “shareholders” are also the people the co-op serves, capital credits reflect each member’s ownership in the cooperative. This differs from dividends investor-owned utilities pay shareholders, who may or may not be customers of the utility. Each year, Lower Yellowstone Electric’s board of directors makes a decision on whether to refund capital credits based on the financial health of the cooperative. During some years, the co-op may experience high growth in the number of new accounts added or severe storms may result in the need to spend additional funds to repair lines. Both events might keep member equity low, causing the board to defer any capital credits refunds. For this reason, Lower Yellowstone Electric’s ability to return margins to members in the form of capital credits reflects the cooperative’s strength and financial stability. If you move or no longer have electric service with Lower Yellowstone Electric, it is important that you keep your address current with us so that future disbursements can be properly mailed. Capital credits are reserved for members even if they move out of LYREC's service area. We will make a diligent effort to send a check by mail. As nice as it feels to receive a check for past patronage, more importantly, capital credits remind us of who owns the co-op—YOU.